You can choose a mobile home for your holidays in Guerande as this kind of accommodation is available in this residence. On holidays in Guerande, the entertainments at the children's club will keep your kids busy. For cheerful holidays in a holiday residence in Guerande, chill out while having a swimming in the swimming pool of the selected residence. Cats, dogs or other pets are accepted on your holiday place in Guerande. 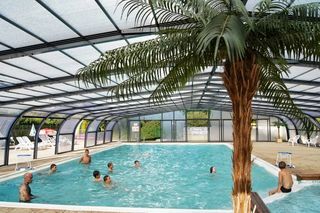 On holidays in Guerande you can have a swim in the indoor pool of your residence. In this holiday residence you can find holiday deals in cheap holiday rentals in Guerande. If are going on vacation by car, you can park it safely in the parking lot located on the residence of your holiday resort in Guerande. You can, during your holiday in the residence at the holiday resort in Guerande, stay connected to the Internet through Wi-Fi space at your disposal. If you wish to wash your clothes, the residence has a Laundromat at your disposal in your holiday residence in Guerande. No need to clutter your crib, you can hire it on-site at selected residences in Guerande. 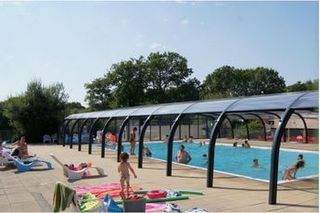 For your comfort, your holiday resort is located in close proximity to several shops in Guerande. When to go to Guerande ?